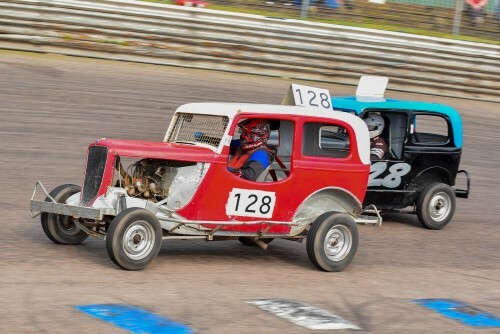 Just like their larger cousins, the BriSCA F2s have a long and proud history in British oval racing, and a clutch of original and replica cars of the past race together in the BriSCA Heritage F2 category. A real mixture of machines is on show in this category, from the whimsical sit-up-and-beg machines of the early 1960s to the much sleeker and low-slung designs of later eras – and all without aerofoils and nerf rails among other modern additions. The drivers do not hold back either, and some excellent racing can be seen to give fans of modern F2 racing some idea of how their favourite sport began. 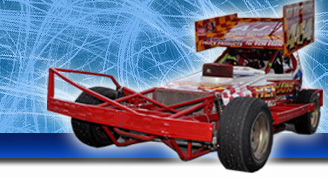 The Heritage F2 Stock Cars race at both Spedeworth & Incarace raceways across the UK.